No Days Just Weeks: Amazon Fire TV is here! With cable TV on the decline… and for good reason…Amazon has introduced a competitor into the streaming space and its said to go head to head with Apple TV. Amazon boasts one of the best streaming movie and TV services, and Prime subscribers can stream thousands of movies and TV shows for free. The Fire TV's impressive ASAP feature loads Amazon Instant content, well, instantly, and the much-touted voice-search feature actually works pretty well, using a mic built into the remote. Amazon's kid-friendly Free Time subscription service is on its way, too for an extra $3 per month. Amazon has even managed to top Apple and Roku by offering the most extensive gaming experience on a streaming box yet. Now more than ever you have motivation to nix the cable and move to a cable of the times… the lack of one. 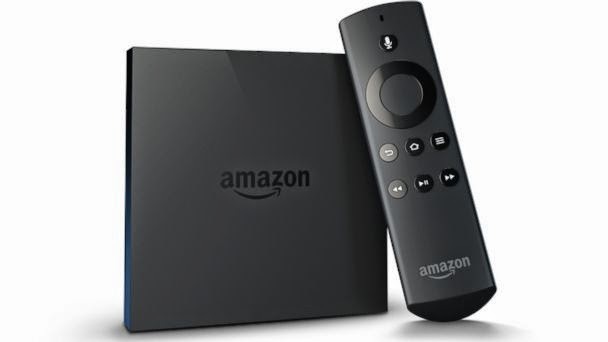 Services like Netflix and hulu let you have access to all of your favorite TV shows and movies for a small fraction of traditional cable and devices like the Amazon Fire TV brings that action to your television. Why have cable when you can…. well… not!